Chef, cookbook author, TV host and New York City restaurant owner Dan Churchill is at the top of his culinary game. Add Food as an interest to stay up to date on the latest Food news, video, and analysis from ABC News. 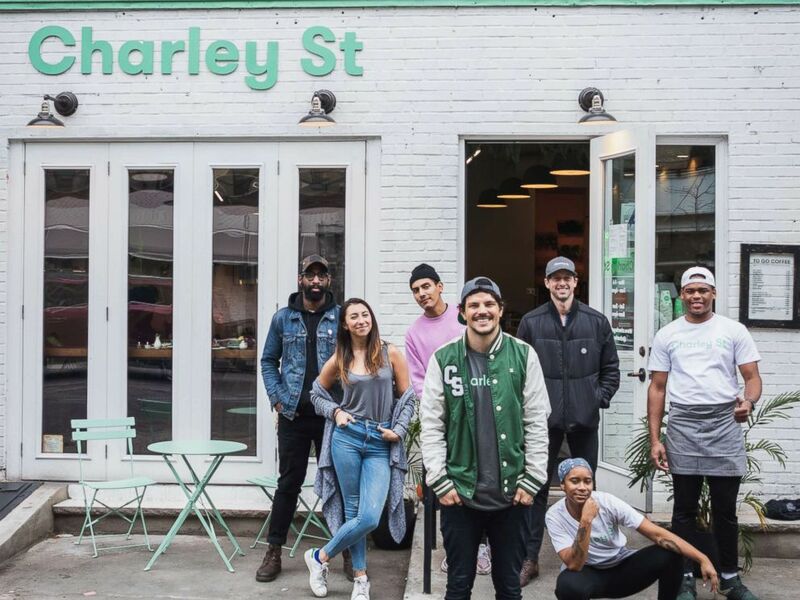 The Aussie native opened his first restaurant, Charley St., in New York City last year and makes it a point to create healthy dishes that inspire bold flavors. Australia native, chef Dan Churchill, opened his first restaurant Charley St. in New York City. He created original recipes just for "GMA" that are sure to curb any fast-food cravings. For our Takeout Fakeout series, where "GMA" challenges chefs to turn top takeout dishes into recipes you can make at home, Churchill put his spin on a Chinese food classic. 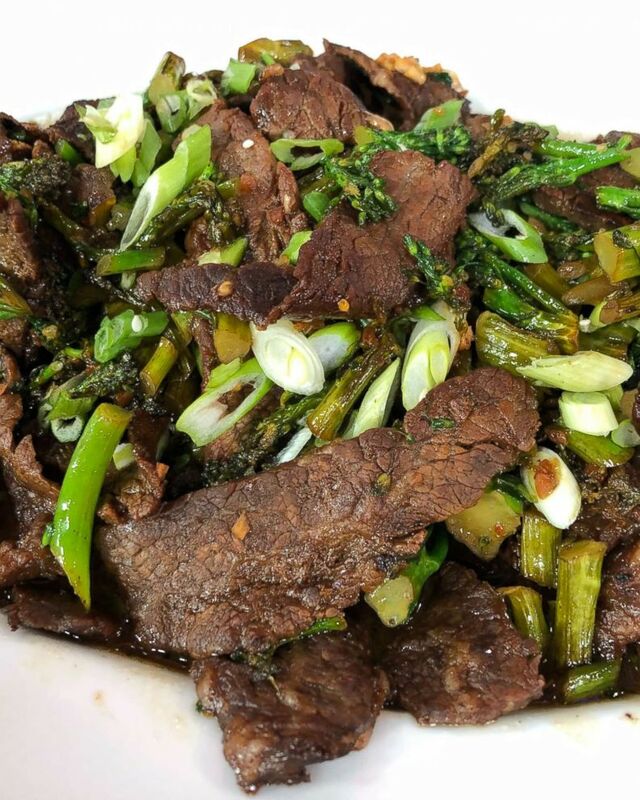 Check out his two takes on delicious Asian classics such as Mongolian beef and quinoa fried rice. This one is as deliciously simple as can be, with a one-minute marinade and an epic final flavor that delivers the punch you’d expect from Mongolian beef. So much healthier than the usual takeout option, with no added sugar or high fructose corn syrup. We’re also adding a bonus pop of color and nutritious wins with some green veggies! First start your marinade. Combine steak, honey, olive oil, soy sauce, pepper flakes, garlic, mirin (if using) and several dashes each of salt and pepper. Allow steak to marinate for at least one hour and up to four hours. Reserve marinade when you are finished. Sear the beef. Remove beef from marinade, and heat up a pan with a drizzle of olive oil over medium heat. Add steak in one layer. Cook steak strips for about one minute, then flip and cook the other side for one minute. Add reserved marinade and cook another one to two minutes. Remove from pan and set aside. Heat olive oil in the same pan (no need to clean it), and add broccolini. Season with salt and pepper, and sauté for five to eight minutes or until bright green and tender. Remove from pan and set aside. Top rice with beef strips, broccolini and reserved sauce. Garnish with green onion. 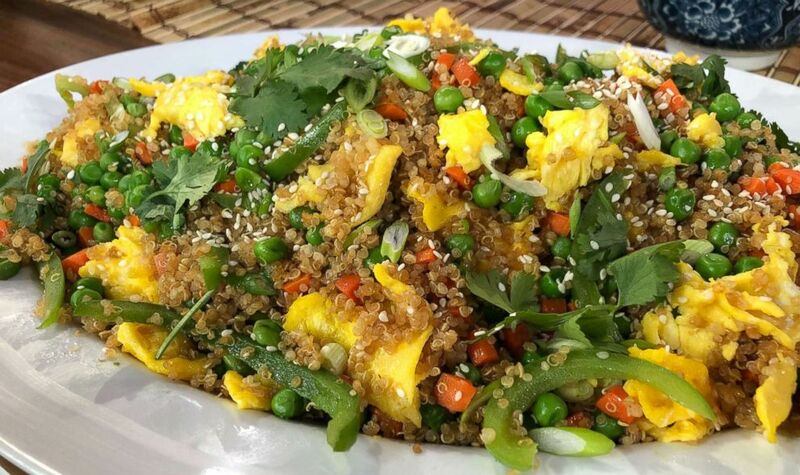 Dan Churchill makes healthy quinoa "fried rice" for "GMA" takeout fakeout. This recipe is a great one to make at the start of the week, in bulk, for you and the whole family! It combines my own love for color with simple, nutritious ingredients that all pair so well together and mimic the type of fried rice you’d get in a delicious take-out… but without any nasty added chemicals, oils, or ingredients you might not be able to pronounce! Consider this one your color win of the week. You can sub the quinoa for cooked brown rice or cauliflower. Once all your veggie ingredients are prepped, assemble your sauce. Combine soy sauce (or tamari), honey, sesame oil and a few dashes of fish sauce in a small bowl. Set aside. Heat up a pan over medium-low heat. Pour olive oil into a pan to coat then add the garlic. Stir for two to three minutes or until garlic is fragrant. Add quinoa, carrots, peas and green pepper. Crack in the eggs one by one, lightly scrambling the eggs with the veggies in the pan. Pour in your sauce. Stir and sauté until veggies have slightly wilted. Season with salt and pepper. Transfer to a large serving bowl. Serve fried rice garnished with sesame seeds, cilantro and fried eggs.